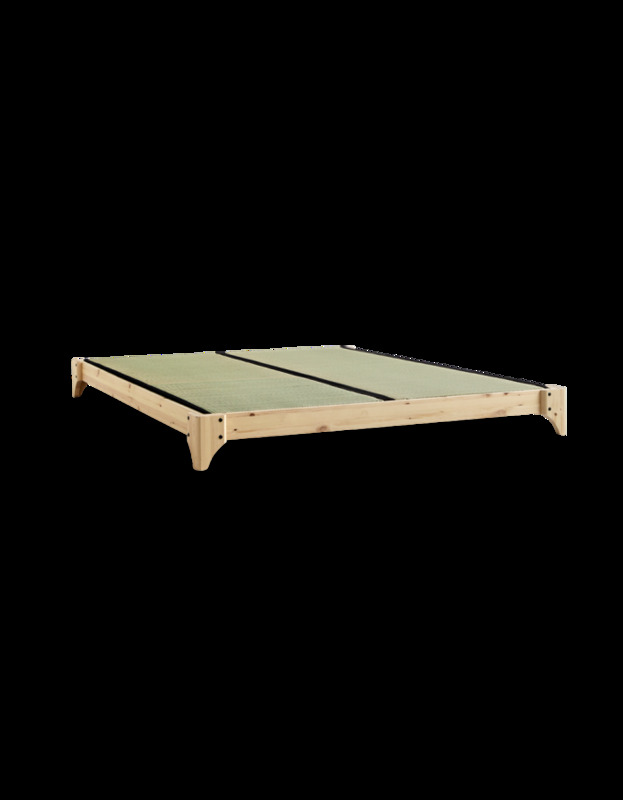 The simple, traditional low level styled Elan Futon Bed frame is available in a choice of two widths and timber finishes. The timber frame is manufactured in FSC Certified (managed forest) Scandinavian redwood pine from Europe and features a simple style base with strong flat timber pine slats for even, firm support. 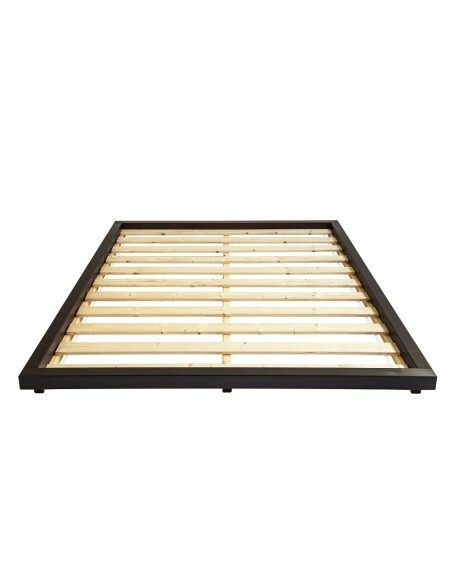 You can choose to use the frame in conjunction with traditional compressed rice straw tatami mats that drop into the frame surround, or on its own with your mattress supported by the pine slat base. 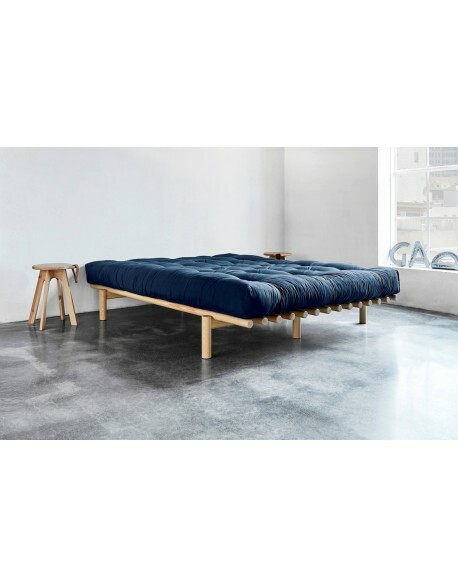 The Elan Futon Bed can be purchased as a frame only, in a 140 x 200 cm European double bed size or the truly massive 160 x 200 cm super king size, or combined with one of our futon mattresses in a choice of fillings to suit your requirements. 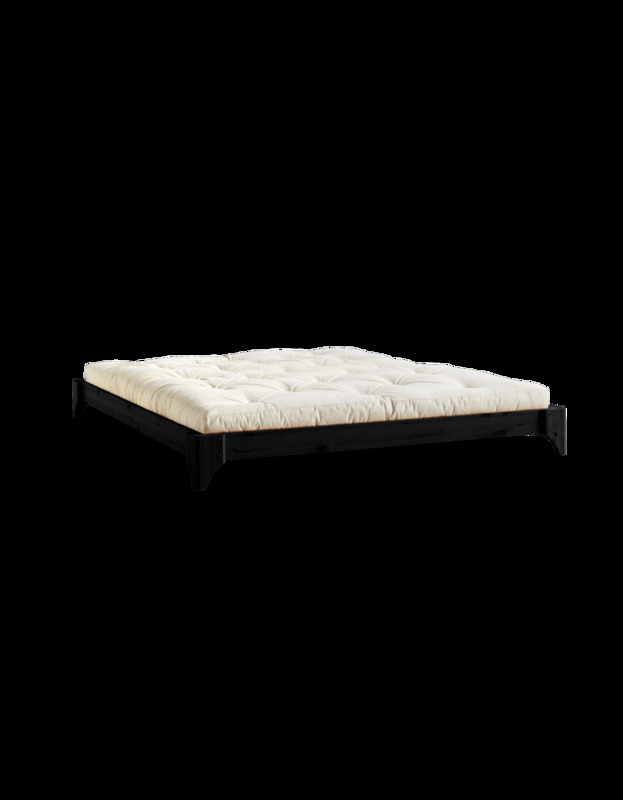 Follow this link for more information on our Futon Mattresses, then make your selection from the menu above. 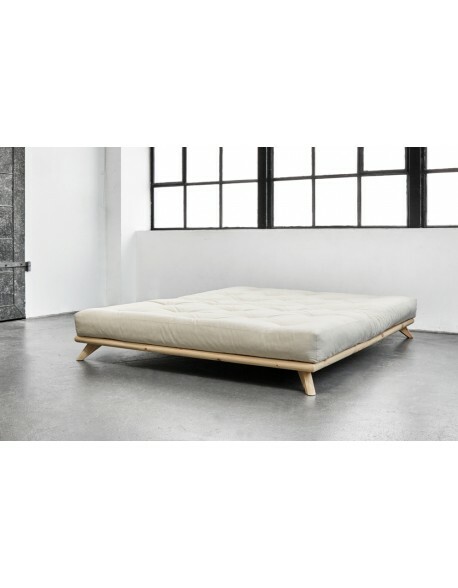 IMPORTANT Note: The mattress size needed for the Elan bed is European size at 200 cm long, if you are buying a futon mattress from us it will be sized to fit, if using a different mattress type please ensure you get a 200 cm length. 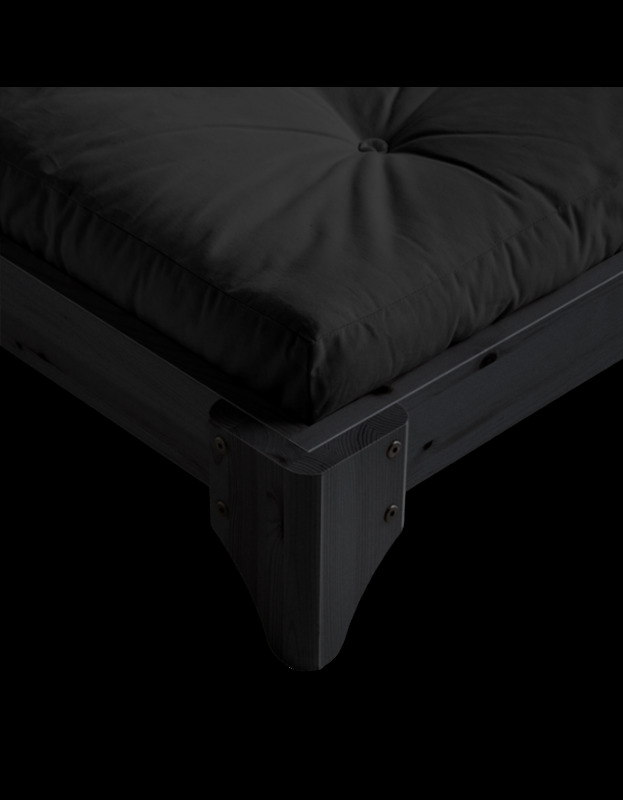 For FULL bed dimension information click on the Data Sheet tab at the top of this description. 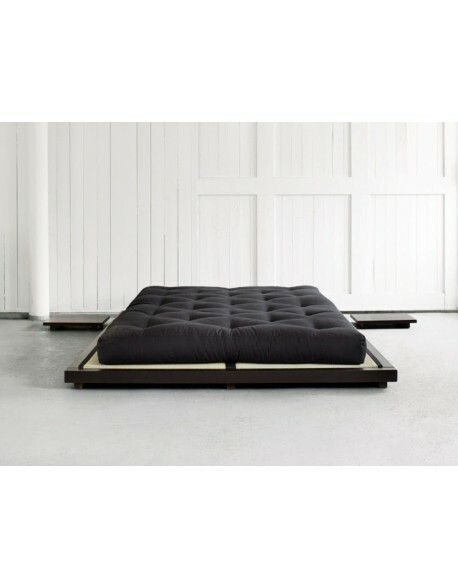 The Elan bed is available on 3 to 4 weeks delivery at present. 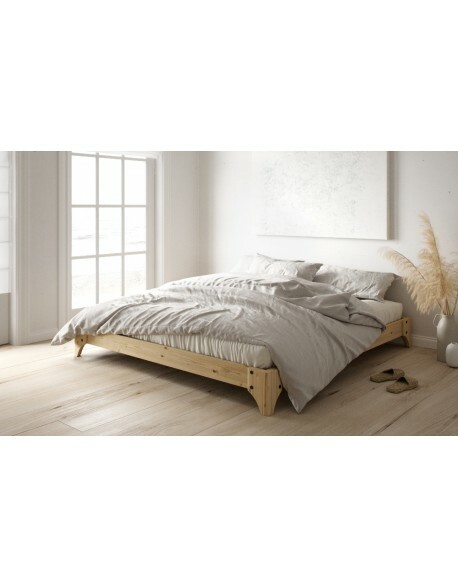 Height 20 cm with no mattress, approx 35 cm with mattress depending on mattress type. 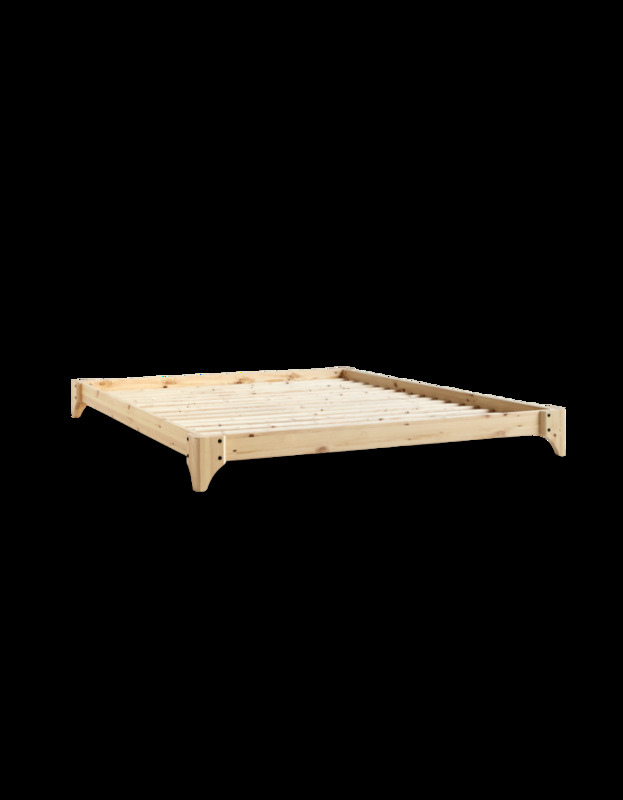 Futon frame materials Scandinavian redwood pine frame outer with pine slatted base, available in a natural or black finish. Pine is FSC certified from managed forests. 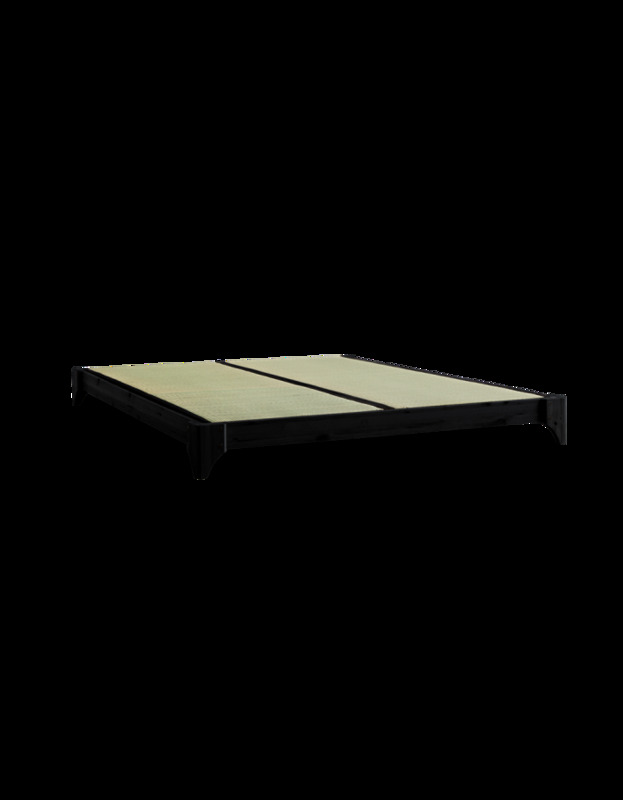 Option for rice straw tatami mats, see menu for choice. Delivered flatpacked? Yes, for easy travel to your home. Allow 1 to 1.5 hours to unpack and assemble, lots of parts but straightforward, logical assembly - typically Danish. How long for delivery? At present a special order item taking 3 to 4 weeks.